Is the length of the Newheek high voltage cable standard? 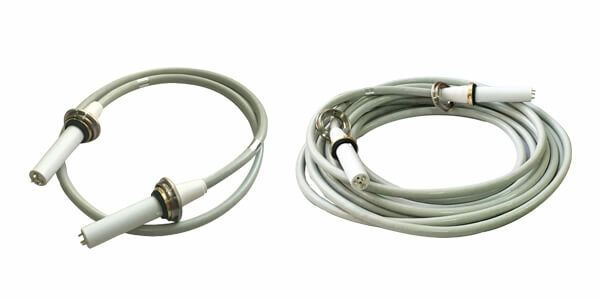 High-voltage cables can be widely used in different X-ray machines, such as C-arm, mobile X-ray, X-ray fluoroscopy, DR, gravel, diagnostic X-ray, etc. Customers use different X-ray machines, their needs are also different, so can be customized according to customer requirements, so it is not a standard configuration, according to your needs we will also provide a reasonable. It is suggested that the commonly available cable lengths are 2m, 3m, 4m, 5m, 6m, 7m, 8m, 9m, 10m, 11m, 12m, 14m, etc. In addition, the Newheek high voltage cable can also be compatible with the Claymount high voltage cable. Attention should be paid to prevent excessive bending in the use of high voltage cables. The bending radius should not be less than 5-8 times the diameter of the cable, so as not to cause cracks and reduce the insulation strength. Usually to keep the cable dry and clean, to avoid oil pollution, moisture and harmful gas erosion, so as to avoid rubber aging.